Use online tool called Auto File Move to help transfer unlimited files between different cloud services. Create an account by entering your preferred email and password and you haveFree 7 days Trial. Click on 'Connect to source' button to choose your cloud service like Dropbox, FTP, Amazon S3 or Web URL. ;Authorize your source account and then you will be taken to the source website (Ex:Dropbox) to grant access to Auto File Move. Browse to the correct folder to transfer or delete (Note:Unlimited File Transfer). Pick Your cloud destination you want to transfer to by clicking to 'Connect to destination' button, and browse to the correct folder you want. Set your transfer options. Different services have different options. Auto File Move allows you to automate UNLIMITED files, archive them, backup your website, use a time schedules , etc. Review Task and your settings. Click on Transfer Now to start moving your files and folders. Or schedule transfer to automatically Schedule instead of 'Transfer Now'. Unlimited file transfer Free 7 days Trail. Review all activities are logged. Contact info@autofilemove.com For more support. Size of the files being transferred will affect the speed of the transfer. Click 'Archive' This will compress your database. Have enough space to receive your files. If you run out of disk space, the transfer will fail. 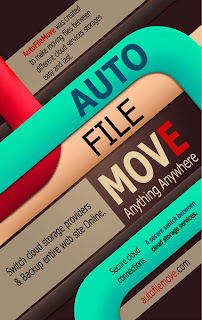 Autofilemove Account to start move your files between different cloud services.